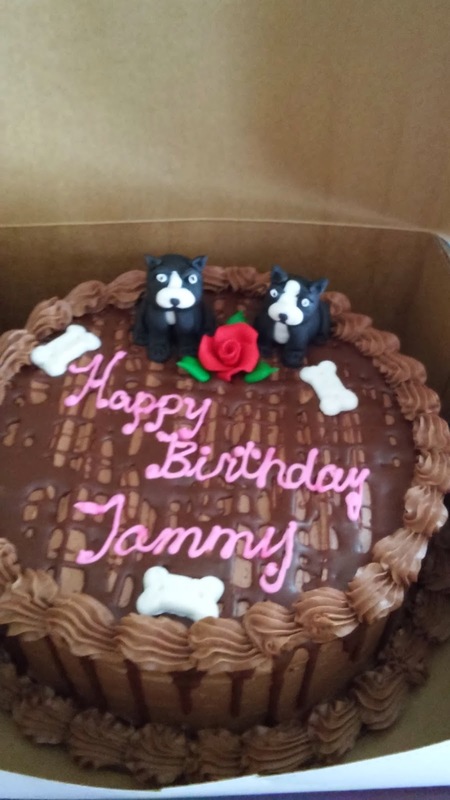 One of our volunteers and foster mom was surprised by her husband with a beautiful Boston cake!!! How cool is that! 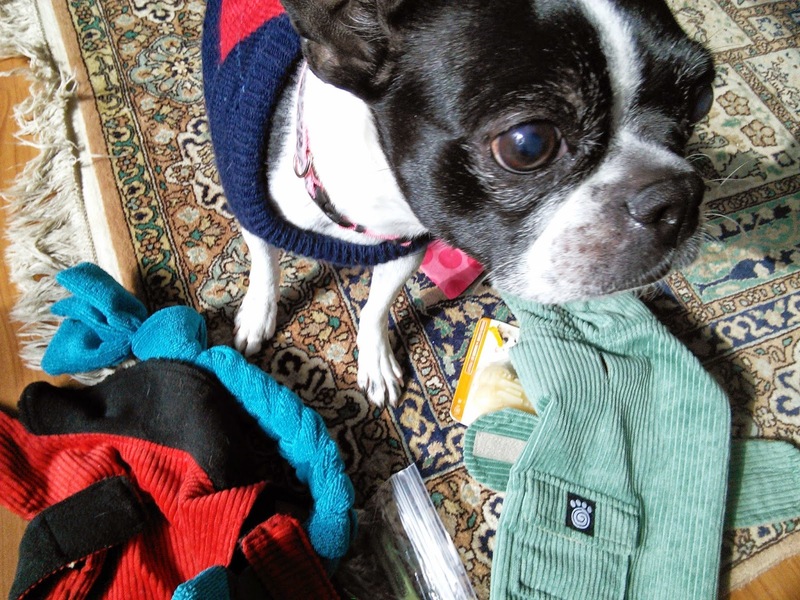 Bella received piles of gifts from Vance Camisa, everything on her wish list, including a Vari-Kennel, bed, blanket, and harness and a special gift of healthy dog treats that we didn't even request. 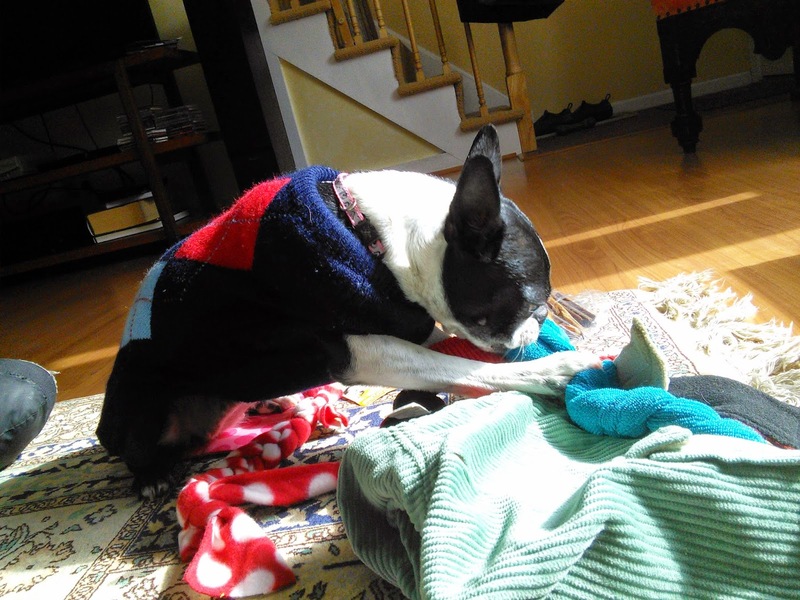 Bella quickly moved into her new home, once the bed and blanket were in place, a nice quiet space for her to recover from her surgery. Moved things about to get everything the way she wanted and is now sleeping peacefully, allowing Abigail to reclaim her blankets and her favorite spot on the couch, at least for a few minutes. 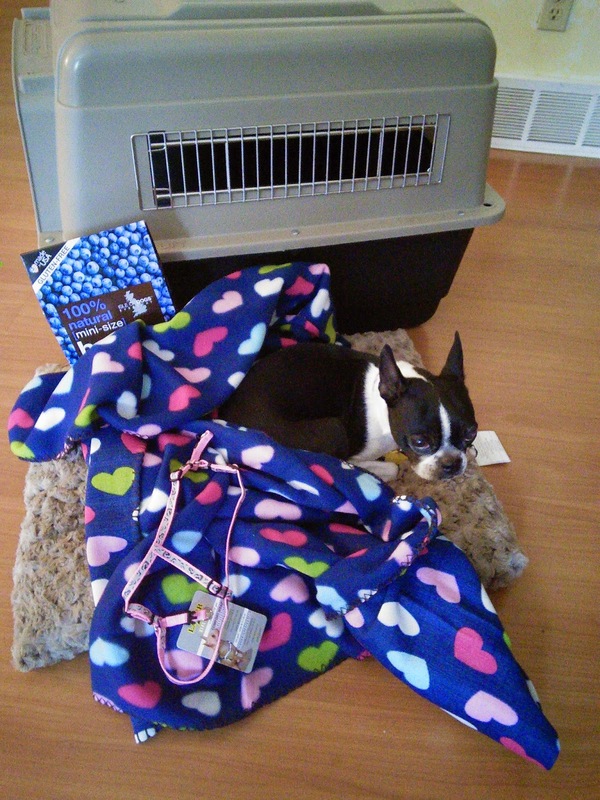 Much to my surprise, Abigail didn't even try to lay claim to Bella's new possessions. What a kind and generous gift from the Camisa family, NEBTR members and supporters have been so supportive and generous to my little waif. schedule his vetting appointment. That appointment was today. 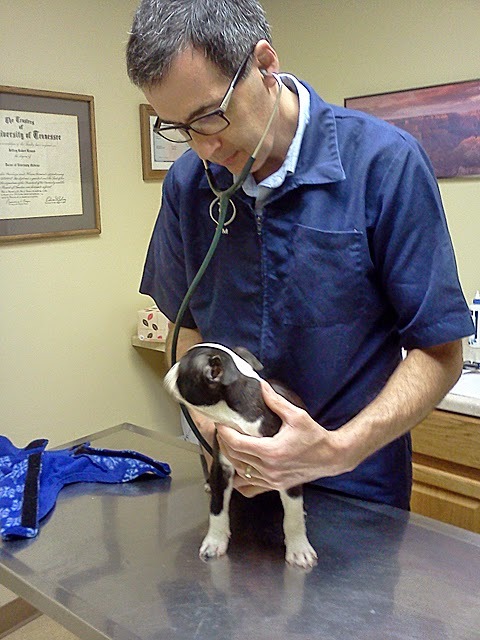 vet appointment, and a the staff fell in love with him. to have found this perfect setting for Richard, oppps I mean, Poppi. Thank you Chris, for all you did for Poppi to get to his forever home! Here's a sweet offer! 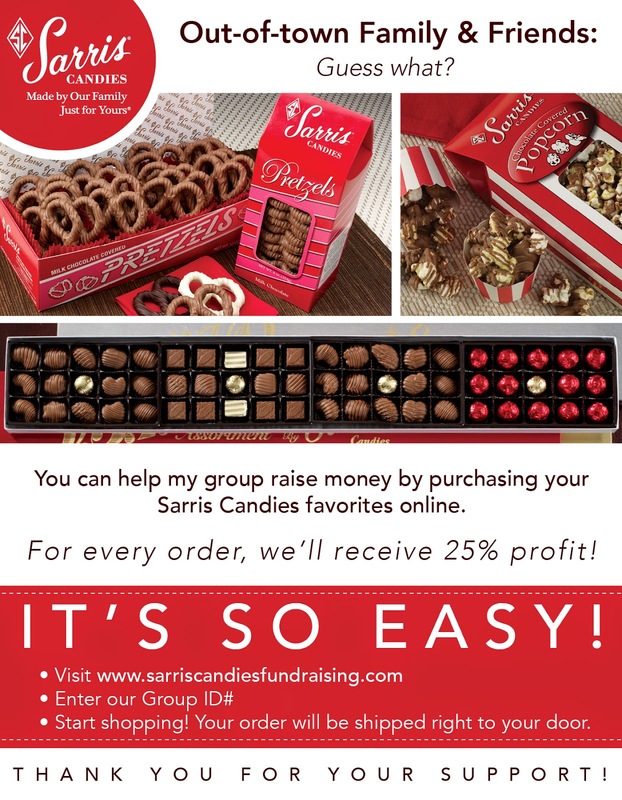 Purchase delicious Sarris candies & support NEBTR.These candies are the perfect gift for someone you care about at Easter or any occasion. Or, buy them as a gift to yourself. After all, every day is a perfect day for chocolate! 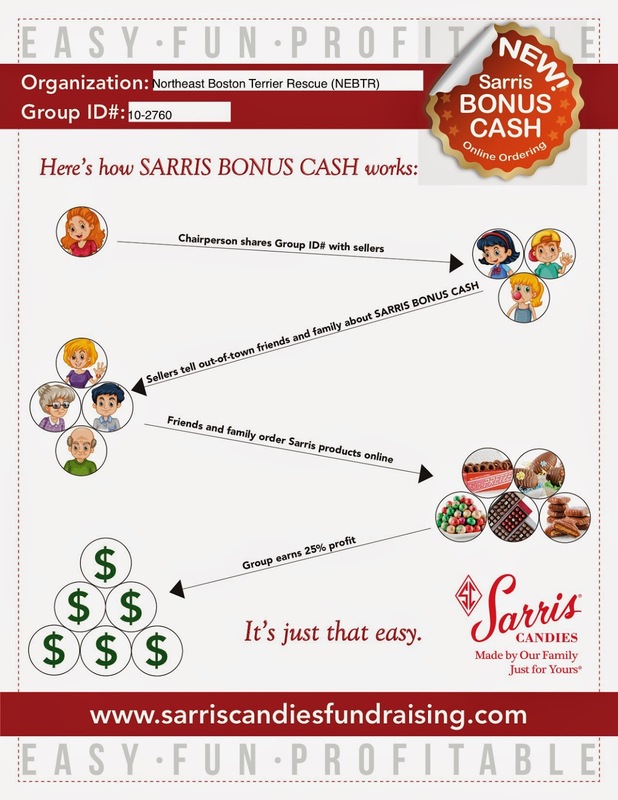 Please share with friends and family - and enjoy. Thanks! Maxy Moo Wants His Dinner! 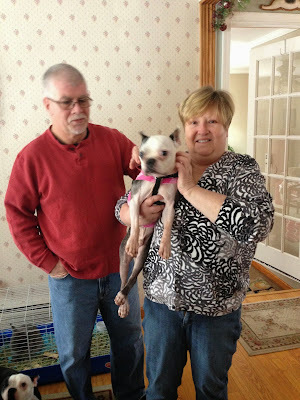 Spikey was adopted today by a wonderful family! They have 2 Bostons and 1 Scotty. 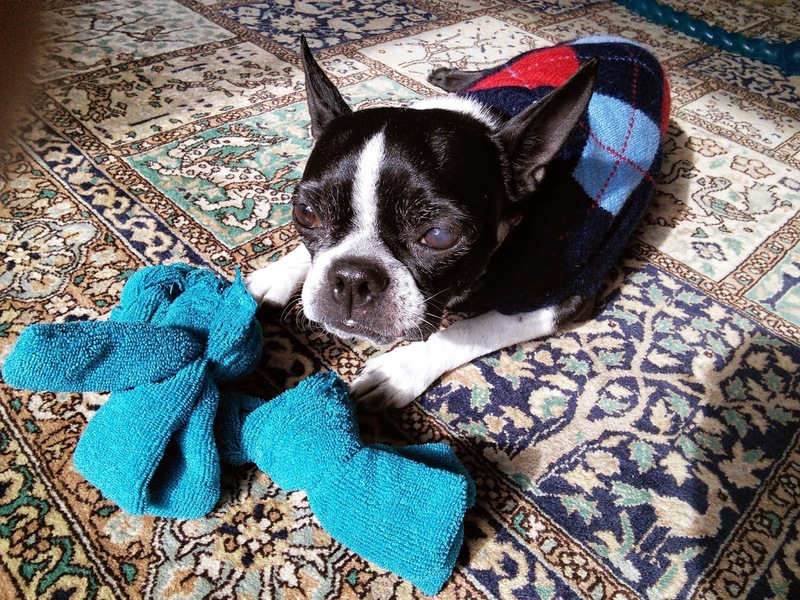 Spikey is a 13 y/o Boston whose previous family couldn't take care of him anymore after having a child. Well, he's in wonderful hands now!! Congrats, Spikey! Congratulations Crystal! Great job with this boy. Hi friends, my name is Bella and I am a sweet little nugget. So far I really like it here with my foster mom, but soon I will be looking for my furever home. My only requirements are that I get a lot of snuggles! As you can see in my pictures, I love a good snuggle. I just need a few things to start my new life. If you are able, won't you consider sending me a little gift? I haven't always known a life where I have what I need. I feel safe and happy now, and I thank you so much for your help and kind wishes! This is Smokey's Owner Marty Roeske. I would like to inform you that we are moving to Shawnee, Oklahoma as I am retiring. We have a nice large house we are moving into with a large fenced in yard for Smokey and Mindy to play in. 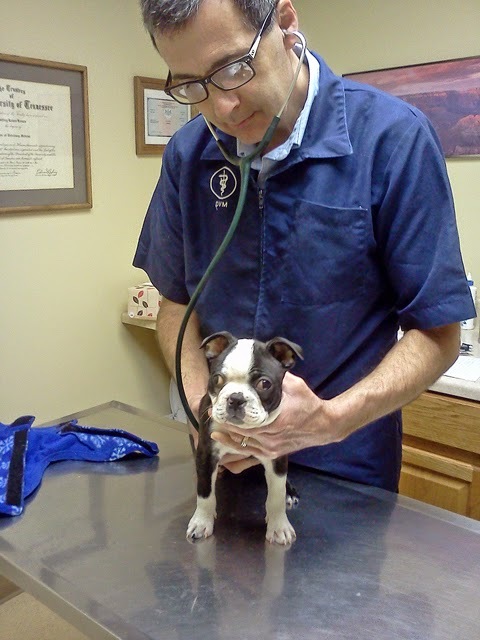 Just to let you know we took our Bostons to our vet and they are both very healthy. Smokey is just a wonderful dog. We have not had one problem with him since adopting him November 2013. He has lost all of his aggressive habits and is friendly to all that come into our house. Inez, Mindy and I could not be more pleased. We hope that Smokey and Mindy will have a great time in their new home! 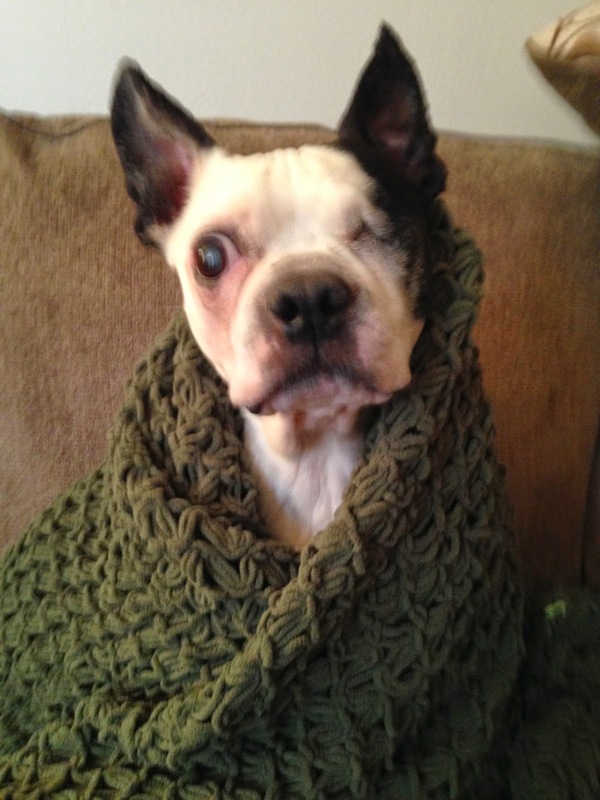 Please take a moment to read the last posting on Dearest Dotty's Page! We met through Dobby, she adored him. A real rescue warrior. She helped pull and transport with Cindy Clark for BTRET, NC Branch. 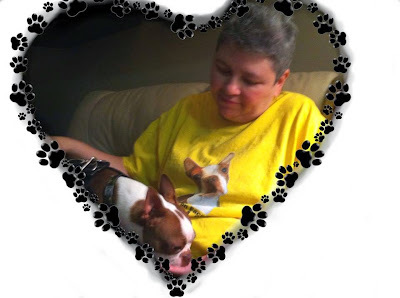 We are listed on her Caring Bridge in lieu of flowers and her partner has us listed in her will. These are real NEBTR bostie lovers! Ana(Chum)Kimsey is watching over bosties from heaven. $1.00 For rescue in honor of Chum. Ana(Chum) Kimsey a beloved rescue warrior joined the spirit world yesterday. Cancer may have claimed the lives of Dobby and Chum but will never have their souls. 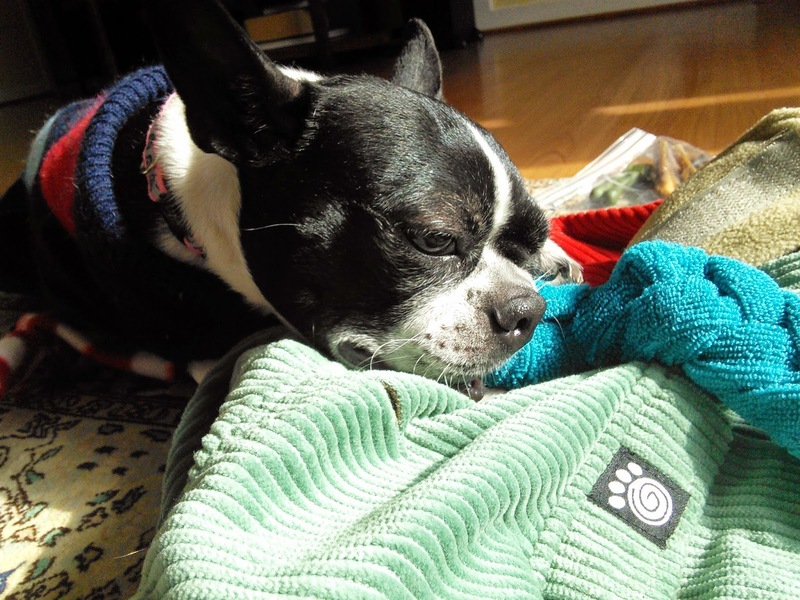 Chum recently said, "the love from our dogs is the purest love of all." Dobby traveled to meet his special friend in NC last year. It was a magical visit that joined hearts and connected families. We will meet again in heaven, just beyond the bridge. 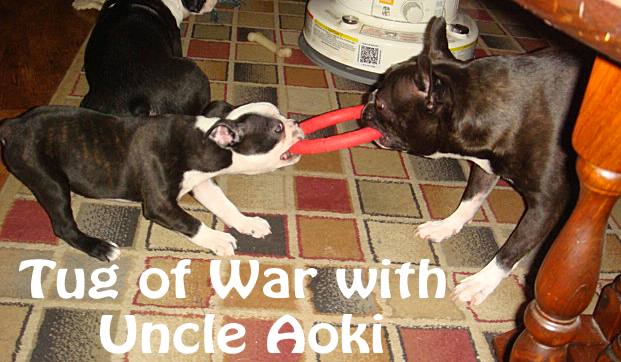 We lub you Chum! All donations will go to NEBTR to help save lives one paw at a time. Send $1.00 to Chum C/O Dearest Dotty, 15 Puritan Lane, Newington, CT 06111, sympathy cards will be given to the family. Chum is one of us, her passion will forever be paws! Let's show Chum's family how much we support her passion! Many thanks to all our special friends! 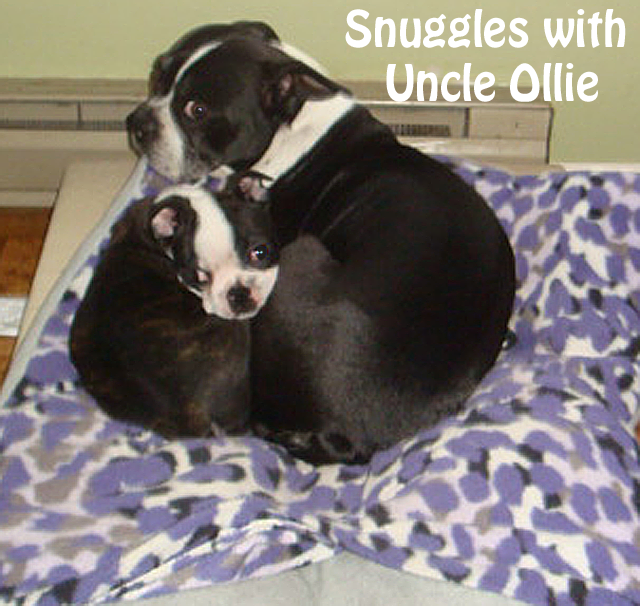 I lub you, oohuggies! What a hoot! So adorable - and she really is beautiful. It is with great joy & sadness to announce that our little guy has been adopted today. He was our first foster fur baby and almost became a foster failure. 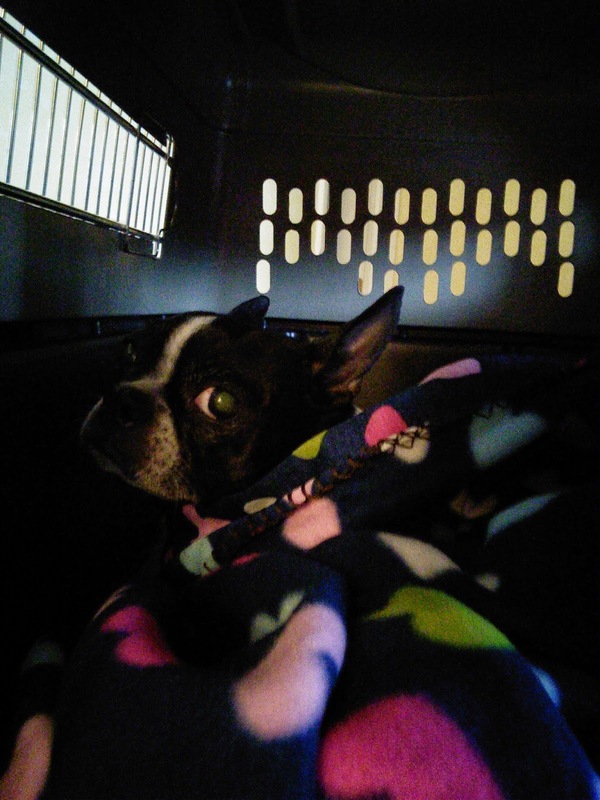 We had Leroy in our car since late November 2014 and have enjoyed every minute of him. I am happy to say that the family that chose Leroy has been amazing - I could not have asked for better family for this guy. 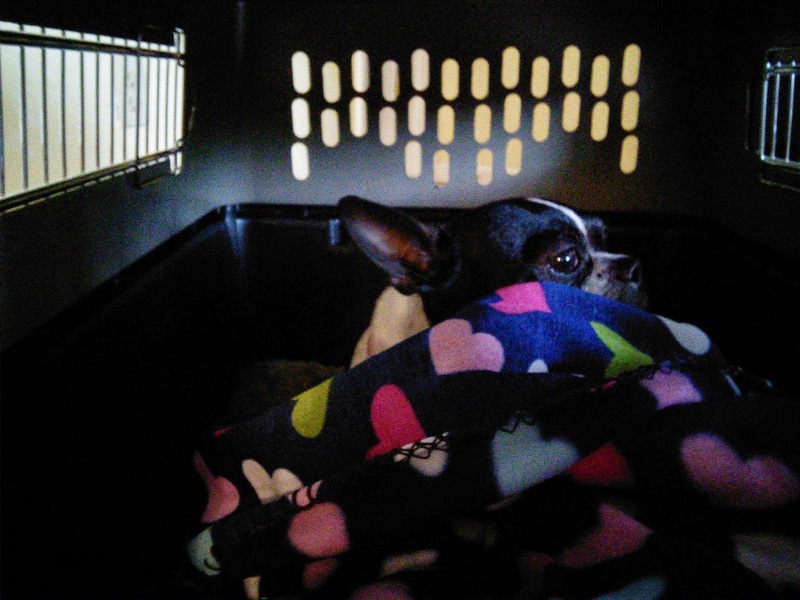 I also wanted to say a BIG thank you to Michelle and Stu who helped with the transportation for the adoption today. It could not have happened without your help! Judy, thank you for taking such wonderful care of Leroy and for finding the perfect forever home for him! Thank you so much, Shawna, for opening your heart and home to this beautiful boy!